A former chairman of Arochukwu Local Government Area, Mr Chibuike Jonas, has chided a serving commissioner in the Abia State, Mr. John, Okiki Kalu, warning him to mind his tongue. Mr Okiki Kalu who is the state Commissioner for Information was alleged to have launched a tirade on various social media platforms disparaging Dr. Orji Kalu who is a former governor of Abia State and All Progressives Congress (APC) candidate for Abia North senatorial district election. Jonas told the commissioner to watch his tongue, reminding him that he is a political appointee who ought to show a high level of respect especially to Kalu, a former governor of the state, even when it was obvious that he was doing his master’s bidding. While admonishing Okiki Kalu to try not to heat up the polity with unguided utterances and sheer blackmail, the former chairman stressed that no amount of falsehood and hate campaign would make Abians fall victim of election manipulation, which he said is a known antic of the People’s Democratic Party (PDP). He expressed surprise that the state government could appoint people in the person of Okiki Kalu into sensitive positions with which he is leveraging to rubbish elders of the of the state needlessly, recalling that his attitude portrays him as one with poor upbringing from birth. Jonas who said he was surprised that Okiki Kalu could make the negative remarks against Kalu credited to him, noted that his conduct was a clear sign that his principal and the government of Abia State under the watch of the PDP had already gone into jittery mode following the growing acceptance of the APC in the state. Addressing youths in Arochukwu at the weekend, Jonas noted that “it is only in Abia state that light weights and political liabilities are appointed as commissioners. “If only the commissioner was brought up properly by his parents, he wouldn’t have insulted Kalu. “I don’t just understand why there is no longer decorum in the politics of Abia State. “I am only sending a warning to the commissioner to leave Kalu alone otherwise he would face the consequences that will follow. “The PDP during the last administration, used the then presidency to short-change the Abians. 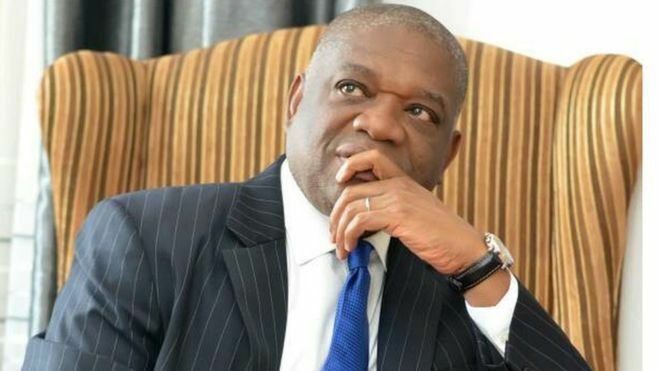 “I recall, when the PDP was in control at the centre, their chieftains in Abia State with the support of the then Federal government, disenfranchised Kalu by blocking his Igbere country home with an armoured personnel carrier manned by the military on an election day despite (Kalu) being a candidate. “The time is now to bring change to Abia state,” he said. In like manner, Jonas sent a message to the current senator representing Abia North, Mr Mao Ohuabunwa, saying that from all indications, it was clear that he might have lost his re-election bid as the people had rejected him. Jonas called on security agencies in the Abia State to closely watch the Deputy Governor of Abia State as his homestead, Etitiama Nkporo in Ohafia LGA is often known to be the hotbed of rigging for the PDP, assuring that APC would do everything within the limits of law to ensure that its candidates in the state were victorious.